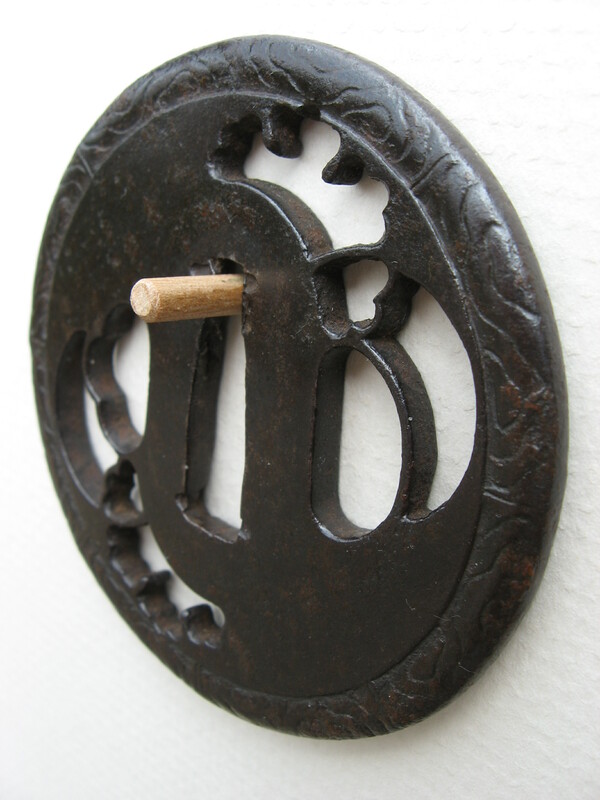 Iron plate tsuba with excellant original patina. 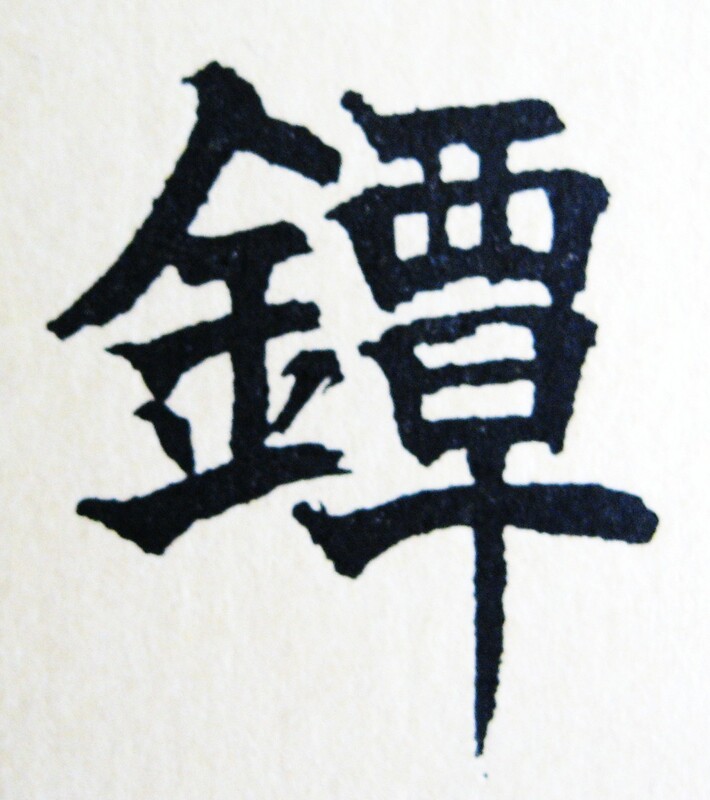 Sukashi in negative silhouette of snow flakes and full moon, half-moon appearing both upper left and lower right. 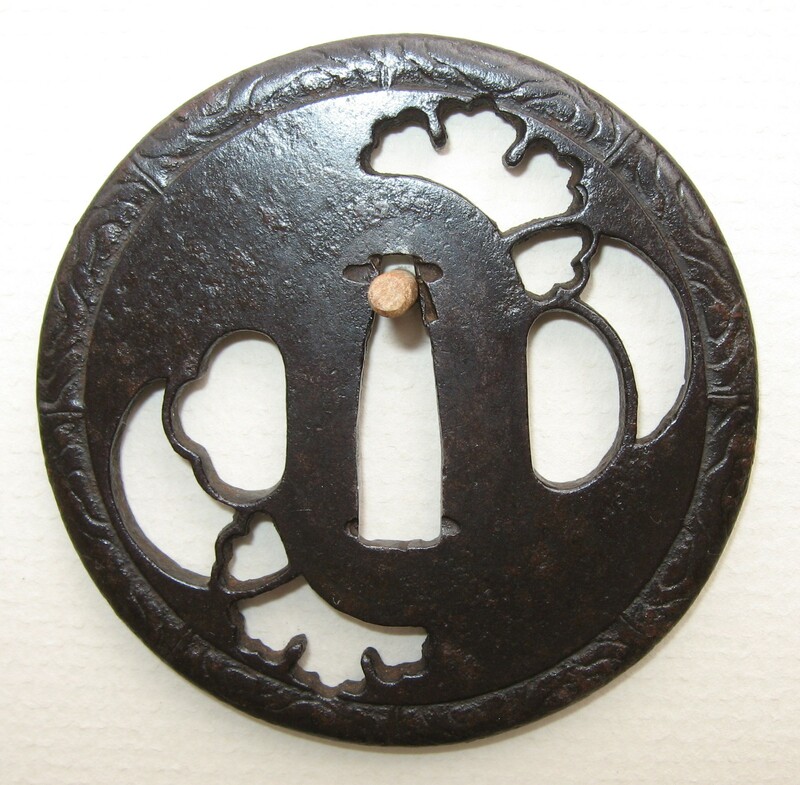 The rim (mimi) is carved to resemble a combination of wood burl with eight bamboo joints. The condition is excellant and well preserved. 7.1cm x 7.1cm x 0.4cm. 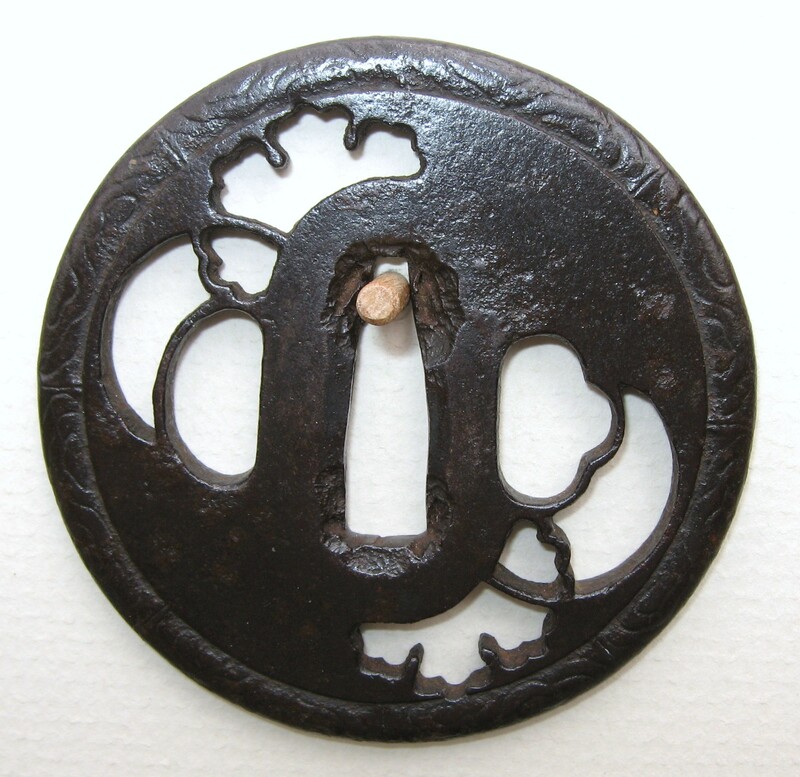 If you would like to know more about any Tsuba, or if you are considering a purchase, please send an E-MAIL telling me (Elliott) where you are and what pieces interest you. I can discuss payment methods, and estimate shipping and insurance costs. For orders within the US, I can accept personal checks, bank checks, or money orders made payable to "Elliott Long." I cannot process credit cards or accept paypal payments. Orders from outside the US can be paid with International Postal Money Orders, checks in US dollars written on a US bank, Western Union transfers, or Bank Wire transfers. Contact Me for details. I can give you a quote on shipping and insurance costs, once I have received your mailing address.